Many hobbiests deal with the same issues or problems with their restores. 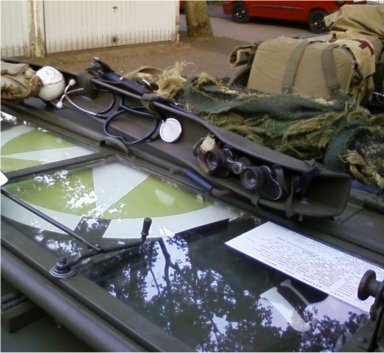 Here are some of the top tips that hobbiests have sent in. Reports of speedometer needles jumping around. 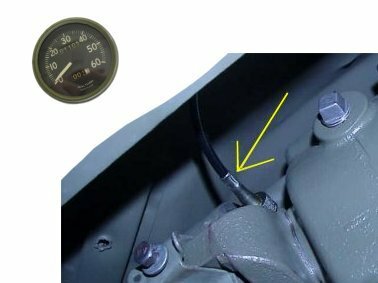 These can be traced to a loosened speedometer cable where it connects to the transfer case. Tighten the connection and the needle stops jumping. 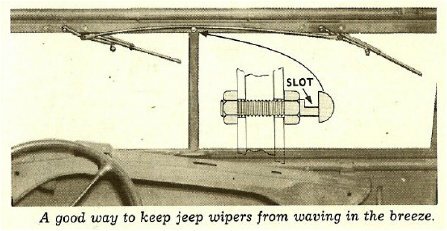 If your manual wipers move around in the wind while driving, then remove the center bolt and replace it with a 1/4in x 1 3/4in long with a SLOT 1/4in wide x 1/8in deep. 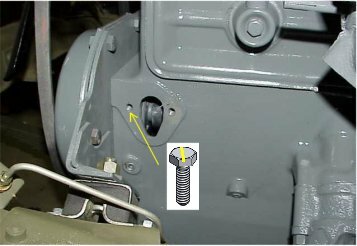 Once you install the front Fuel Pump bolt it is very difficult to reach this bolt with a wrench. There just is no room to get your wrench in there and turn. Prior to installing this bolt, cut a slot into the bolt so that you can use a screwdriver to easily remove it. The rubber spark plug insulator caps deteriorates with age and causes the lower part to crack. 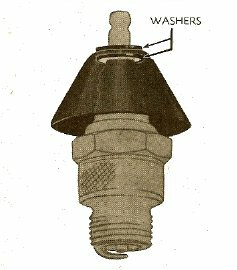 To lengthen the life of the caps put a small flat washer on the top and bottom of the cap. Press the edges of the crack together and tighten up the plug wire against the washers. 6. TIP #6 Use Grease for sticky fingers. Tip by Jim Selfridge For Touch up paint - empy a jar of Finger nail polish, clean and add your Olive drab paint into it. When you need a touch up, you have the paint ready and have an applicator ready to go. After a nice restore, add an extension to your overflow tube so you don't get fluid all over your new paint. 10. Send us your favorite Tip and we will add to the list!